← Have You #AJO’d Today? 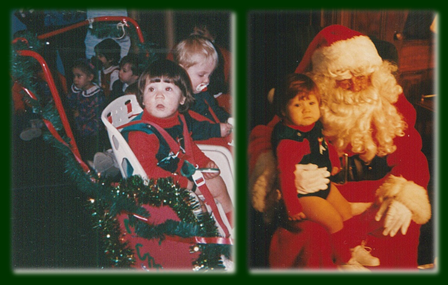 As I look forward to Christmas tomorrow, I’m thinking of the many memories of Christmas past. 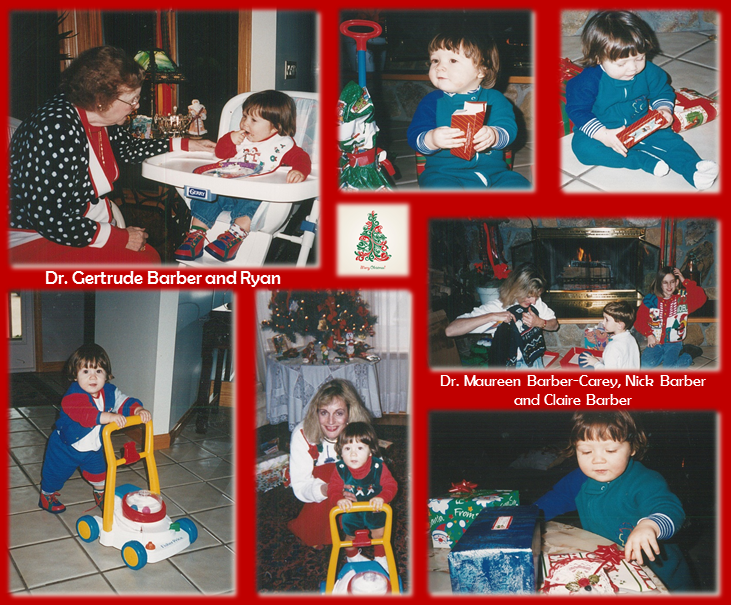 Ryan was only 23 days old when he celebrated his first Christmas. 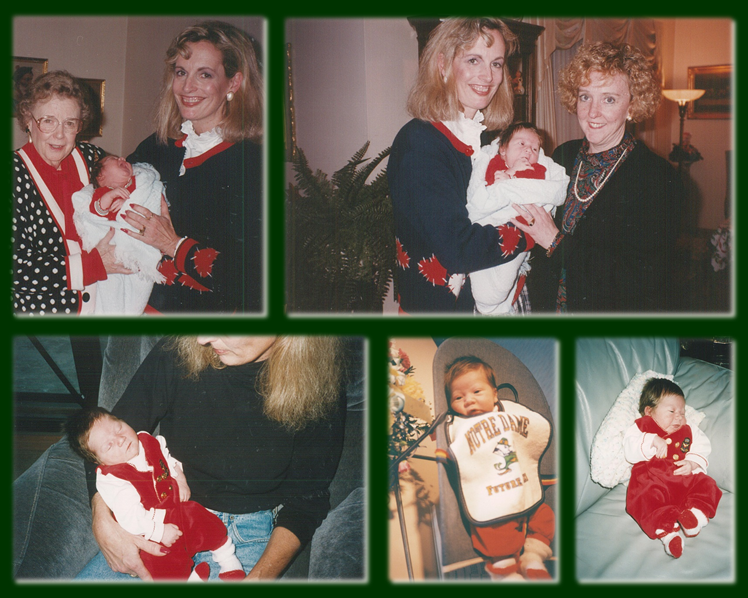 Yes, he had a red Christmas outfit and was already a Notre Dame fan. Unfortunately, our annual Christmas birthday dinner with Uncle Joe and his family did not happen, as it took us 1 hour for a 20 minute drive due to the raging snow storm. We turned back as we knew we would never make it out to North East and Uncle Joe’s. That first Christmas, Ryan slept most of the day but holding him in my arms was a dream come true. Ripping wrapping paper from the gifts was the highlight of Ryan’s second Christmas. I was so disappointed that he was more interested in the paper than what was in the boxes. His favorite gift that year was a lawn mower that he pushed anywhere and everywhere. When Claire and Nick visited us, Ryan had no interest in their gifts and continued to roam with his lawn mower. His second Christmas, at 1 year old, was also a year of firsts – his first visit with Santa and his first Barber Center Christmas play. His first visit to Santa was uneventful; he didn’t cry, but he didn’t smile, either. His first Barber Center Christmas play overwhelmed him with the crowds, music and the general noisy atmosphere. 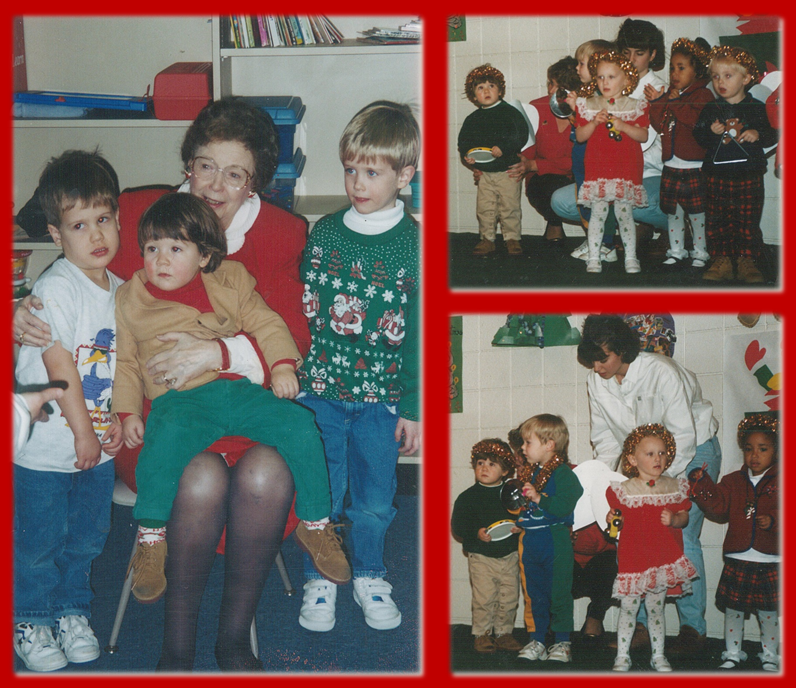 As a 2 year old, Ryan was again up on stage for the Christmas play with his classmates from Happy Hearts. It warmed my heart to see him playing his tambourine. 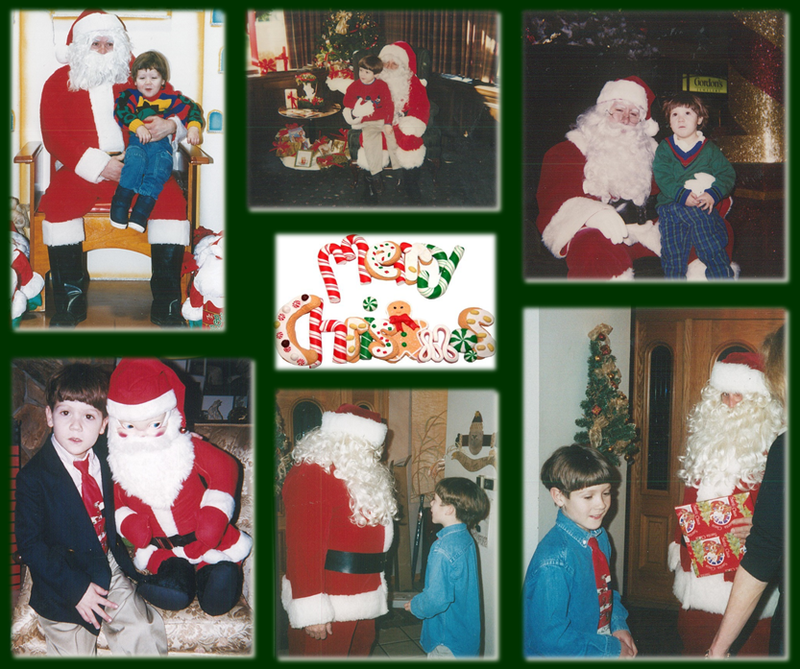 Visits with Santa when Ryan was a preschooler were challenging. Ryan, was typically overwhelmed with meeting Santa even though we attempted to go when crowds were small and noise levels were bearable. That is why I was so pleased to bring Autism Friendly Santa to the Millcreek Mall. One year we arranged for Santa to visit our home, which was a huge success. When Ryan went to answer the door and found Santa, he was as excited as anyone would be when their dream came true. If Ryan had his way, Santa would never have left. Ryan was a believer in the magical tale of Santa until 12. I knew his classmates would laugh if he talked about Santa so I thought it best to break the news to him myself. I explained that Santa was for little kids and that as he was getting older mom and dad would become his Santa. His biggest concern, after the Santa talk, was would he continue to get presents. From the start I encouraged Ryan to think about baby Jesus and the story of the first Christmas. As the wise men brought Jesus three gifts, Ryan would receive three gifts on Christmas. We’ve continued this through the years. Just yesterday Ryan wondered out loud what his three gifts would be this year. This year his gifts will be a Peek’n Peak season ski pass, skis and cold weather attire, but it’s a surprise so don’t tell him! I have encouraged many to use the story of the three gifts of the magi for their children. Christmas 2013 begins for us this evening with a 5 p.m. mass at St. Patrick’s. On Christmas day we will be in North East celebrating Uncle Joe’s birthday with family, which for me is the best Christmas gift of all. This entry was posted in Uncategorized and tagged autism, autism friendly santa, christmas, dream, family, Happy Hearts, holiday, holidays, memories, merry christmas, pictures, santa, special needs. Bookmark the permalink.